"A slow-cooked turkey breast that will melt in your mouth!" 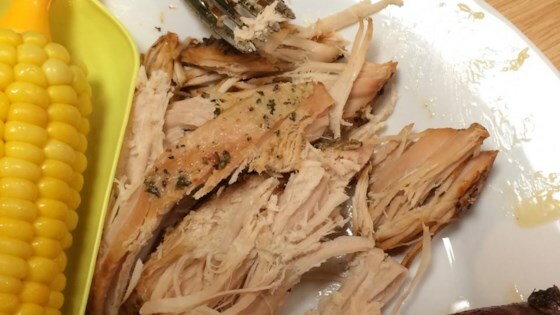 Place turkey breast into a slow cooker. Combine butter, whipped cream cheese spread, soy sauce, parsley, basil, sage, thyme, black pepper, and garlic powder in a small bowl until smooth. Brush herb mixture over the turkey breast. Cover slow cooker. Cook until turkey is tender, 4 to 6 hours on High or 8 to 10 hours on Low.